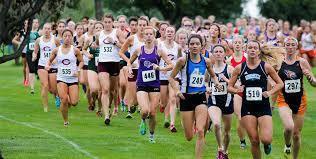 Our cross country team needs volunteers for the Chili Pepper Race on Sept. 22 in Fayetteville. We are needing volunteers to work a 4 hour shift sometime between 7:30 AM-3 PM. Volunteers need to be at least a high school junior. For each 4 hour volunteer, the cross country program will receive $100. Volunteers need to sign up by emailing Coach Heffernan pheffernan@artsk12.org by Tuesday, September 18.